It's a Boy Charm! 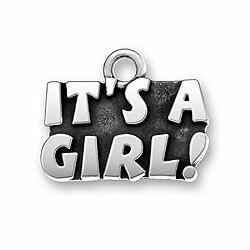 -- It's a Girl Charm! 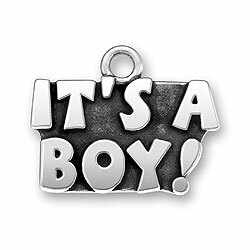 Surprise your mom or surprise your mother in law with an "It's a Boy" Charm or "It's a Girl" Charms! These sterling silver charms are made in the usa and are lead-free. $10.00 - It's a Boy! $10.00 - It's a Girl!